Use these buttons to share this infographic! People don’t want to work every day, we’d all prefer to be spending time with friends and family, going on holiday and following our passions. 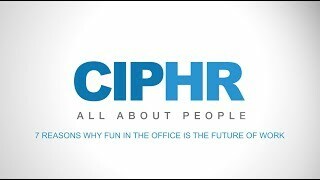 Making the working environment more fun seems like the most logical path however, few employers make an effort to proactively ensure that their employees are happy and enjoy being in the office. Utilising certain days of the year such as Halloween or Fireworks night, TV programs such as Bake off or The Apprentice or even local events you can concoct competitions, initiatives or sponsorship’s that not only create a feeling of goodwill but also benefit the business in a plethora of ways. UK businesses lose 6.9 days a year per employee due to absenteeism and it’s estimated to cost the average UK business £554 per employee. 23% of UK firms report ‘non-genuine absence’ as the top reason for short term absence, for non-manual workers, and 30% of businesses state this as their top reason for short term absence for manual workers. Content employees who have fun at work are more likely to avoid the negative effects of stress and anxiety and have even been shown to have a lower heart rate and variability which lowers the risk of various diseases. The health effects that happiness has on your workforce will also help to reduce absence costs and reduce presenteeism. If your workers are generally more healthier as a result of the increased fun they’re having in the office, then they’ll take less time off due to sickness. In a separate study in 2003, 350 volunteers were exposed to the common cold. The volunteers were each called six times during the experiment and asked to what level they had experienced 9 positive emotions that particular day. After being quarantined for five days, those participants who reported the most positive emotions were less likely to have developed a cold. Encouraging fun in the workplace makes the office a nicer place to be. Employees who are happy to be in such an environment will enjoy the health benefits while benefiting the business in a number of ways. On a typical day workers spend about 65% of their time collaborating and communicating with others. With the majority of time spent collaborating encouraging an effective way to improve cohesion within the business should be a priority for business leaders. Enjoying time with colleagues in a relaxed and fun environment encourages honest and open discussion and trust in one another. If employees are friends with the people they work with, as opposed to simply being colleagues, then they’ll work better together and communicate more effectively. 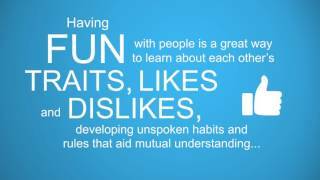 Having fun with people is a great way for individuals to learn about each other’s traits, likes, dislikes and develop unspoken habits and rules that aid mutual understanding. This knowledge enables them to better understand each others boundaries, strengths and weaknesses. Team building exercises are designed to be fun for a reason, because people like having fun! If employees are preoccupied enjoying themselves with colleagues in the office then they won’t even notice the fact that they’re improving communication and collaboration skills, not to mention empathy towards each other. Social ‘play’ is a vital part in healthy creative development. Young children often learn best when they are playing and that principle also applies to adults. 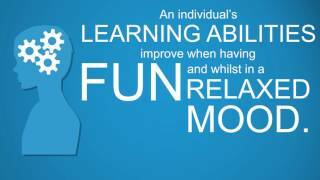 Individuals learning abilities improve when it’s fun and they’re in a relaxed mood. Play can also stimulate imagination, helping people adapt and problem solve. Creative environments have an atmosphere and activity which is easily distinguishable. There’s a buzz in the air, colleagues are enthusiastic and energetic and there are conversations happening throughout the office. This creative culture can be nurtured by injecting fun initiatives into the day to day lives of employees. Challenges and problem solving exercises, whether as a result of day to day activity or introduced in the form of competitions or initiatives, are an effective way to increase innovation within the workforce. The opportunity that having fun at work provides a business is substantial. 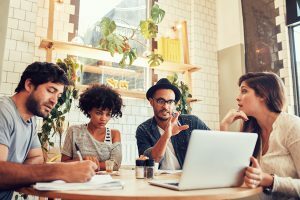 Sharing brand stories and promoting the great time that everyone has in the office is a compelling employer branding story and is an effective way to attract a large following online. Company culture is one of the top priorities for talent looking for their next position. Providing a window for people to find out about daily life at your brand increases familiarity and trust. Whether a potential customer or passive talent, if that individual feels that they ‘know’ your brand and can see your ‘human’ and fun side then they’ll be more likely to engage with you. Happy people are 12% more productive than ‘normal’ people. 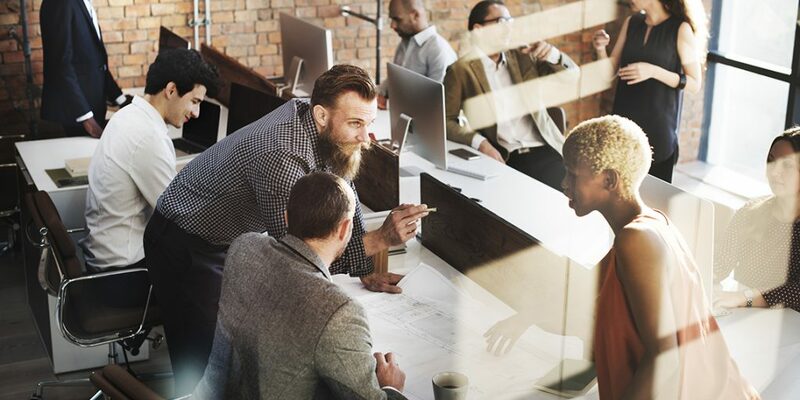 “A 700-person experiment conducted by the University of Warwick’s Centre for Competitive Advantage in the Global Economy found that happier employees are more productive. Researchers chose individuals at random and either showed them a 10-minute comedy clip or provided them with snacks and drinks. They then followed up with a series of questions to ensure that the “happiness shocks,” as they’re referred to in the report, actually made the subjects happy. 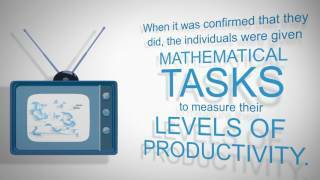 When it was confirmed that they did, the researchers gave them tasks to measure their levels of productivity. When an employee feels low or sad for any reason, their motivation drops, they may withdraw and communicate less and be generally less productive. There will always be unavoidable events in our lives that make us unhappy but we cope better and recover faster when we’re surrounded by happiness, support and friendship. The simple act of making your bed in the morning can be enough to provide a sense of achievement that improves your mood, and productivity as a result, throughout the morning. 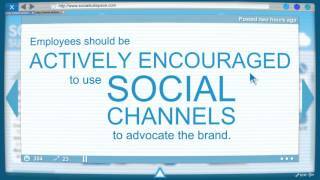 Advocates act as a powerful force in shaping the public perception of a company. Employees that have fun, enjoying what they do, are engaged in the business and who are generally happy will naturally share company stories and advocate the brand on social media and offline too. When people have fun they like to tell others, just take a look at Facebook, friends love to let you know that they’re having a great time, wherever that may be. The likelihood is that all of your employees will have a social media account on one network or another, and they’ll all also have a social network offline too. 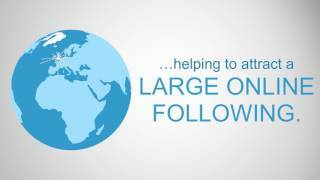 If every one of your employees shared news and updates about your brand to their own social groups then the business audience will increase exponentially, and for free! As well as making efforts to increase morale and fun in your organisation it’s also important to allow good news to be shared with the world. 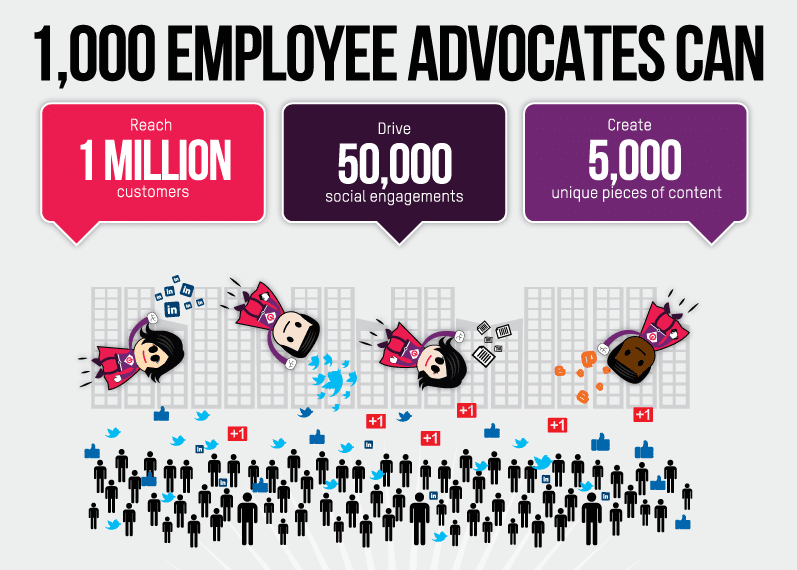 Employees should be made aware that it’s OK to use social channels to advocate the brand and be actively encouraged to do so. Pay attention to the individuals that consistently share positive messaging about your brand and encourage them to post more of the same on sites such as Glassdoor and LinkedIn. Industry influencers are usually keen to share such employer brand news and will be browsing such professional platforms. Social recruiting relies heavily on employer and talent branding with 66% of applicants believing that the best way to gain an insight into a company is to interact with existing employees. 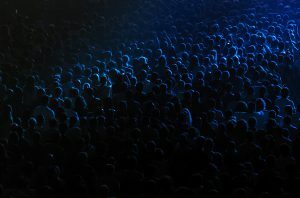 Talent attraction professionals now appreciate the benefit gained from asking their existing staff for help when sourcing qualified applicants. With as many as 32% stating that employee referral programs are a top source of quality hires. Social media policies should be in place and understood by all but, at the same time, not be too restrictive and stifling. One obvious benefit of happy employees is that they’re more likely to stay with the company for longer. 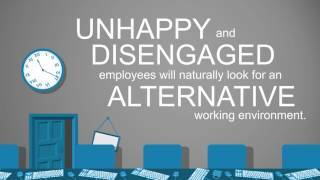 Unhappy and disengaged employees will naturally look for an alternative working environment. With the average hire now costing a business £32,000 and, according to the CIPD, it’s estimated that the average cost of recruiting the wrong person can be up to £12,000 so it’s imperative to attract and retain the right people.